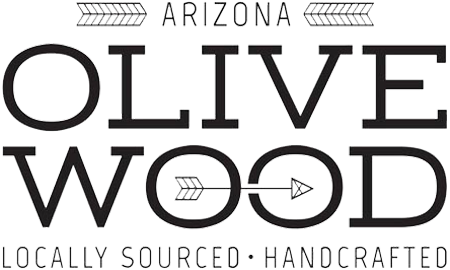 Arizona Olive Wood is a collection of serving plates, cheese boards and cutting boards made from locally sourced olive wood. It was founded by Michael McNamara, a photographer living in Arizona, and all pieces are made by hand in a ranch house in central Phoenix. The wood used was grown locally, not in lumber forests but in neighborhoods all around the valley and state. Most was cut down by tree trimmers and a lot was destined for fireplaces or landfills. Arizona Olive Wood is dedicated to keeping olive wood out of our landfills and putting where it belongs: on display.